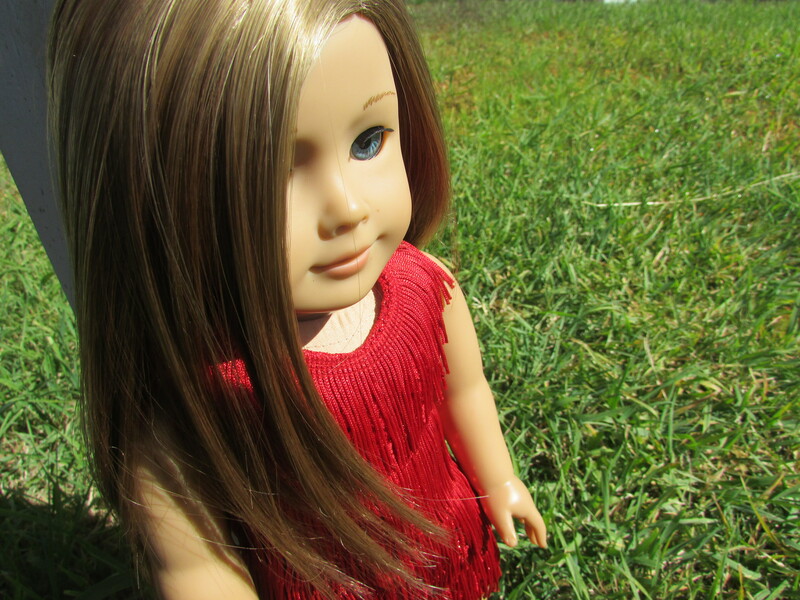 I have completed the dress for my AG Doll’s Millie Dillmount costume! The dress is inspired by the Thoroughly Modern Millie Broadway poster. 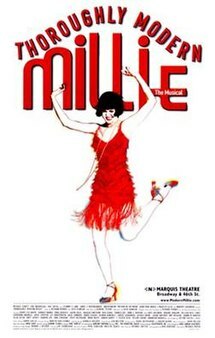 Thoroughly Modern Millie (the musical) was based on the 1967 film by the same name starring Julie Andrews as Millie. The musical rendition of the film opened on Broadway in 2002, starring Sutton Foster as Millie. The show won 6 Tony Awards and ran for 903 performances with 32 previews. The costume will eventually consist of the dress, shoes, necklace and possibly headband. This is part one! To make the basic shape of the dress, I used this tutorial. After cutting the fabric, I cut the armholes 1/4 inch all the way around, and lowered the neckline. The inside lining is a smooth fabric, which I forget the name of at the moment. The outside of the dress is 2mm sequin fabric. 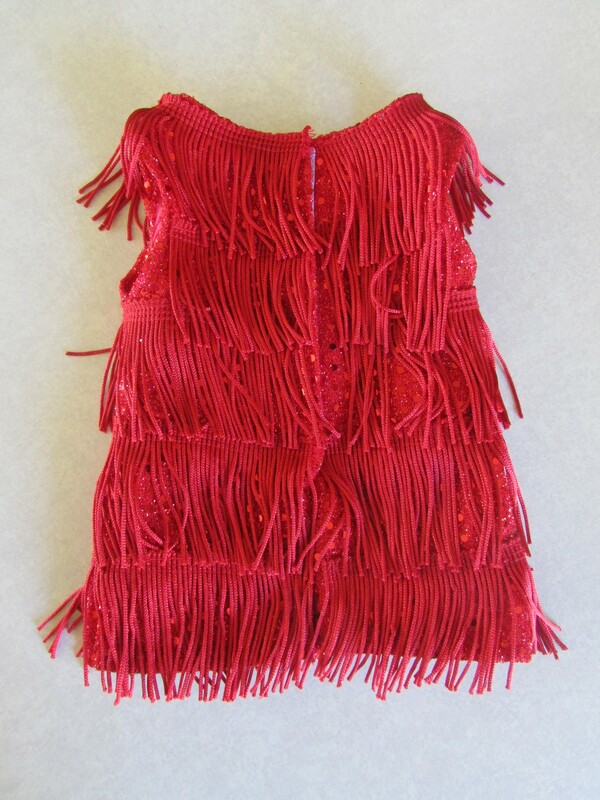 The red poly chain fringe was 4″ long when I bought it, but I cut it down to 2″. 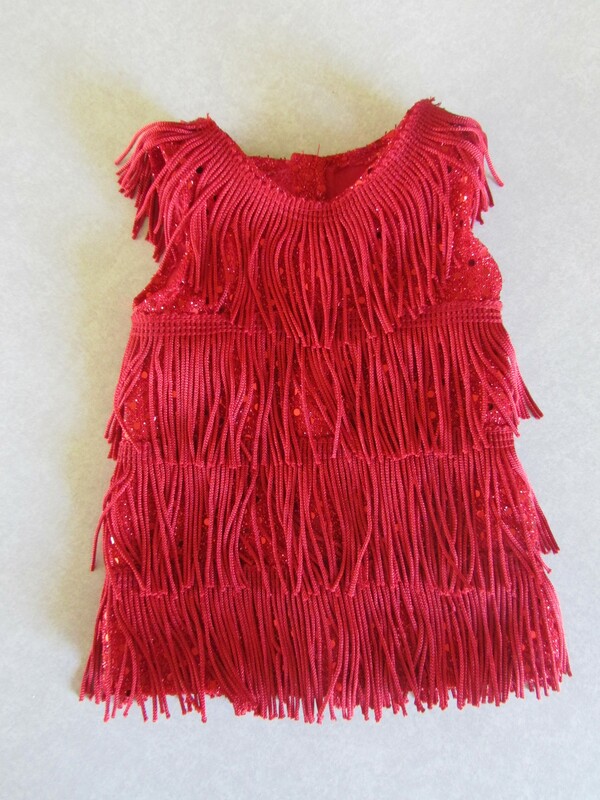 Each row of fringe is 1 and 3/4 inch below the last, allowing the rows to overlap slightly. I used about 55 inches of this fringe. I bought 1.5 yards, and used almost all of it.